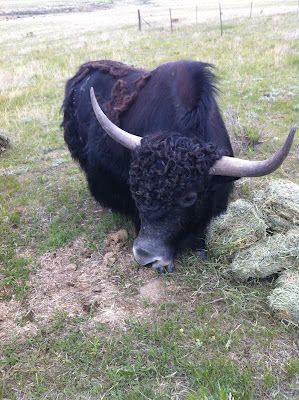 Bijou Basin Ranch: Contest: Meme a Yak! Greetings from the Ranch! If you are just finding us, Bijou Basin Ranch is a family-owned ranch located in Elbert, CO. We raise registered, full-blooded Tibetan yaks that have superior glossy coats which are harvested annually; we also supplement the fiber we harvest from our yaks by purchasing quality yak fiber from other yak ranchers across the country and abroad. Our herd has plenty of personality to go along with their fabulous fiber; many of our fans are already familiar with some our yaks: Napoleon, Yogan, Ruby, and Knit & Purl, just to name a few. This spring, we'd like to invite our fans to create their own yak-tastic memes using some of our more memorable photos. How do you meme a yak, you ask? It's simple! This website allows you to upload any photo, and then enter your caption, which it will add to the photo in the "official" meme font (for anyone wondering, that would be Impact). 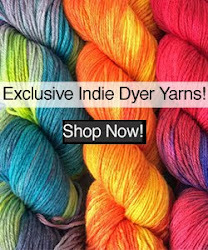 We'll randomly choose a winner from the pool of entries to announce on Monday, May 2, 2016 to win a skein of Tibetan Dream Sock Yarn in the winner's choice of select in-stock colorways! 1. Choose your yak. 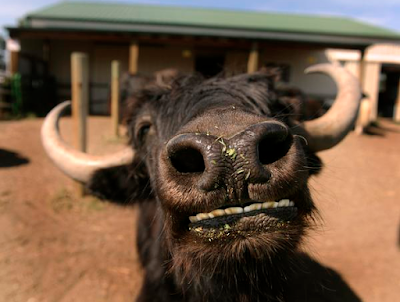 Right-click on any photo below to save the image to be used in your meme; the name of the yak is in the caption for each photo. 2. Create your meme. Visit this website to generate your meme: https://imgflip.com/memegenerator. You will need to upload the photo and then think of a clever caption! 3. Share your meme. 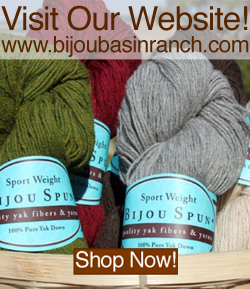 Once your meme is created, you can share it on Instagram using the #bijoubasinranch and #memeayak hashtags, or here in our Ravelry group to be entered in our contest.